What an amazing wildlife moment! Watching whales, bears, and sea lions in their natural habitat. I have only ever seen whales on TV, or in movies. 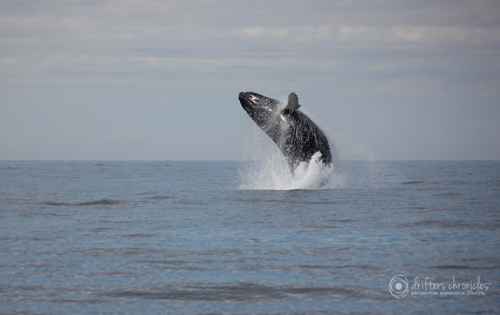 It was absolutely amazing to be one of a dozen people on a small boat and see this large mammal break through the water. We were lucky to see the baby with the mother. We think the baby was trying to show off it’s skills to the group! We were driving around Zion National Park and saw a small group of people gathered around the side of the road. That usually means that there is an animal nearby. We got lucky and spotted a herd of horned sheep. We must have been watching them for about 30 minutes. I was able to capture some really nice photos of them. There were a couple instances when they were looking right at me about 30 feet away. It is always a rush when you randomly spot wildlife and this is a moment I will remember for a long time. 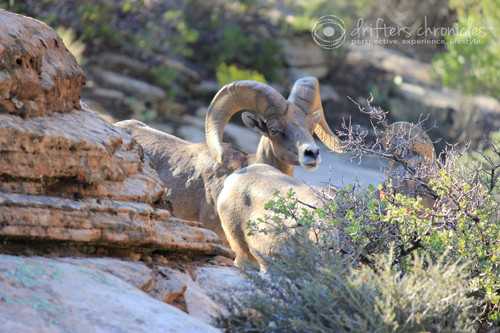 This entry was posted in Hers, His, Lifestyle, Perspective, Wildlife and tagged British Columbia, Travel, Wildlife, Zion National Park. Bookmark the permalink. ← Merry Christmas to all of our readers! Incredible whale photo. I’m so jealous of that experience. The wildlife that we saw on Vancouver Island was amazing and I highly recommend checking it out. Thanks for stopping by Katie!